"The loft" duplex apartment of 50m² charm for 4 to 7 people. Property 4: "The loft" duplex apartment of 50m² charm for 4 to 7 people. Very Nice T4 for rent - 75m2 - 8 pers. Property 13: Very Nice T4 for rent - 75m2 - 8 pers. Apartment at the foot of the slopes mountain view south! Property 31: Apartment at the foot of the slopes mountain view south! 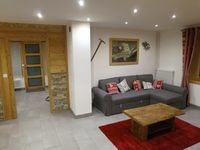 Serre Chevalier 1400, Le Bez, ski slopes, apartment 4 pers. in house. Property 36: Serre Chevalier 1400, Le Bez, ski slopes, apartment 4 pers. in house. 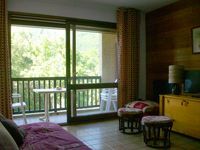 Property 43: Serre Chevalier 4 person apartment with balcony facing south. Luxury service, ideally situated in a mountain village. Property 49: Luxury service, ideally situated in a mountain village. This is a beautiful apartment right in the heart of the village. Perfect location for visiting the area, and absolutely immaculate. Nous avons d&eacute;couvert cette r&eacute;gion que nous ne connaissions pas. Appartement douillet, calme et confortable. Nous avons pris nos repas sur le balcon expos&eacute; au sud. Bien que l'appartement soit situ&eacute; en dehors du bourg de Mon&ecirc;tier, l'arr&ecirc;t de la navette &agrave; quelques pas de l'appartement nous a permis de nous rendre en quelques minutes au village et ainsi laisser notre v&eacute;hicule sur le parking de la r&eacute;sidence.